Small group instruction didn't look fancy in my room today, but there sure was a ton of learning going on. 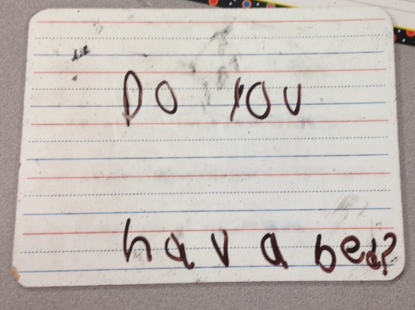 We worked on the short e sound. 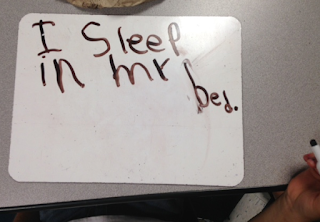 We started out writing short e words on our white boards and transitioned into sentence writing. I gave them a short e word and they used the word in a sentence. 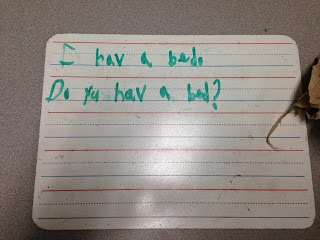 In the pictures below, we were using the word bed in a sentence. 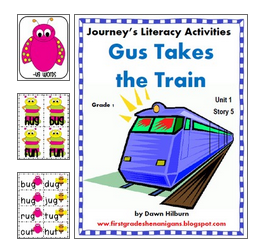 Next week, we will be reading "Gus Takes the Train" in our Journeys reader. 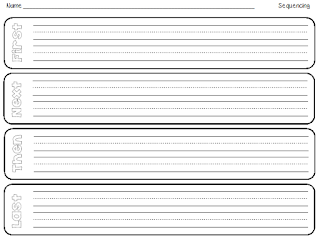 I whipped up a sequencing activity for my students to do at one of our centers while I work with small groups. It is shown below. 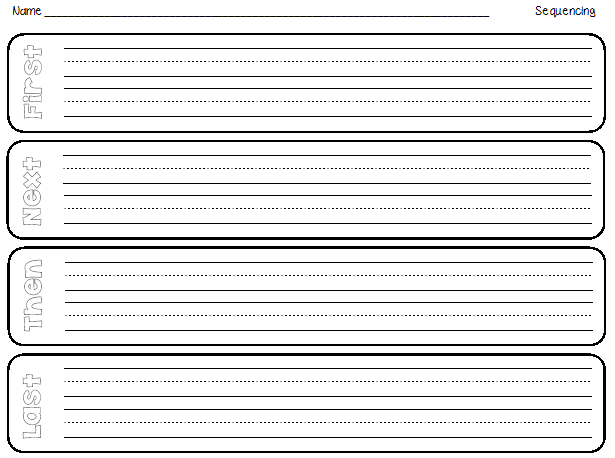 I will laminate and cut out the 4 sequence cards. 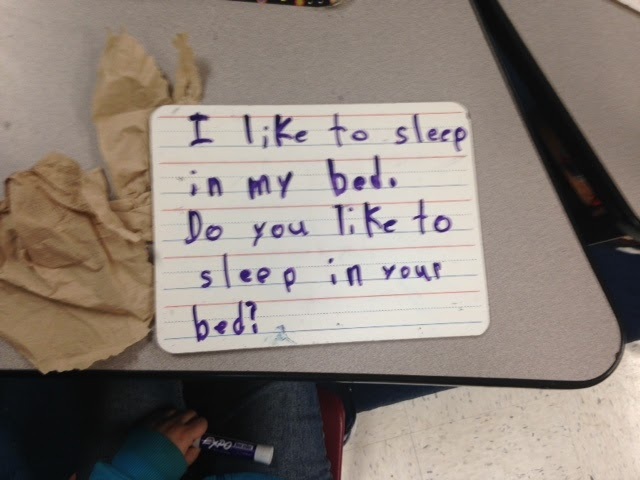 Students will sequence them in the correct order and then write the sentences on their recording sheet. If you would like a copy of this activity, just click on the picture below. Clip art courtesy of My Cute Graphics. Fonts from Kimberly Geswein and Sheila Melton. 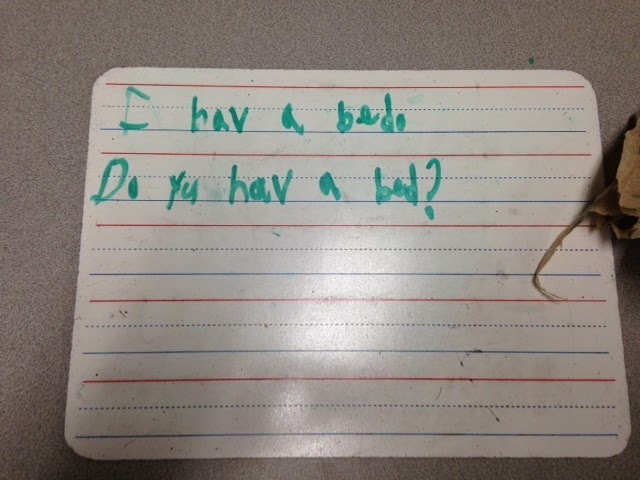 If you are looking for other word work activities for your students to do at centers for this story, you can check out my packet on TpT by clicking on the picture below.